This spring-weight jacket is by Ann Taylor LOFT. 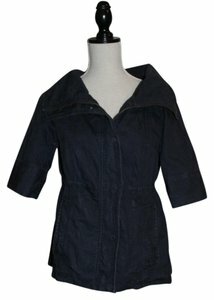 It is navy with a silver metallic thread. 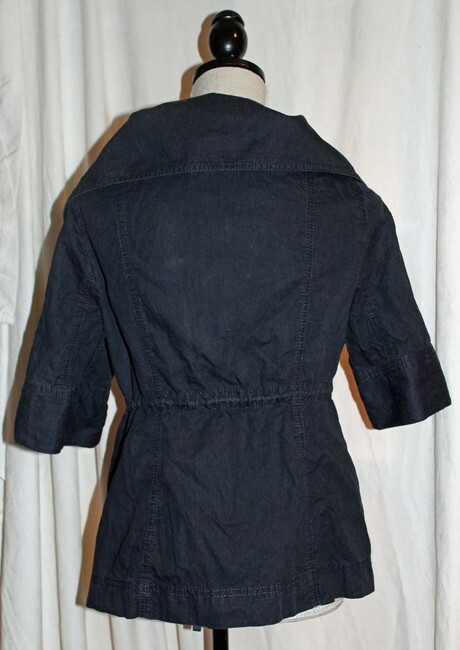 The jacket features an inside tie that allows the wearer to cinch the waist. It also features a zip and snap closure, front pockets, and a large bloused collar. This jacket is 95% cotton and 5% metallic. It is a roomy size small.